To combine cinematography with photography, Wall took his camera out of the studio along with lights and actors with the intention ofmaking pictures with the look of films from the 1970s that would lend a sharp, documentary style to his pieces. This gesture of racial tension is really only a superficial element of the entire image when it is observed alongside the pictures that came afterward and before. Looking at the style of documentary photographers and filmmakers along with journalistic picture makers, Wall saw Mimic as a way to “try to bring street photography and ‘cinematography’ together.” This idea has been central to his work ever since. filmmakers like Bufiuel are notable, partially because of both artists’ use of non-actors in their fictional portrayals of real life. 12 But, unlike other quick, grainy street images (both moving and still, like those by Winogrand and other street photographers ofthe 1960s), Wall set out to make very clear, vivid pictures that “resembled street photography, or at least had an interesting relationship with what street photography was attempting. Early on, the artist realized that he needed to make pictures which confronted the audience not with the lush niceties of popular culture and advertising (as referenced in his use ofthe lightbox, but with the reality of everyday life in the city and on the fringes of society. In his 1983 article “The Site of Culture: Contradictions, Totality and the Avantgarde,” Wall showed that he was “perfectly aware of the problem” and that he “[knew] that if art makes do with positing some idealized beauty as imaginary substitute and compensation for the ugliness and violence of the world, it is giving place to an idea of happiness that is fraudulent and ultimately totalitarian. However, if he is so interested in showing the “truth,” why do some of Wall’s pieces reference the idealized compositions of paintings by artists like Manet and Hokusai? This seeming contradiction does not come out of a need by the artist to create idealization, but instead by Wall’s interest in constructing images from what he sees. Here it is necessary to mention Wall’s interest in the history of art. An art historian by degree and practice, Wall had a long involvement in the scholarly aspects of the art world before working primarily as a photographer. Along with broader references to the history of photography, there are also strong ties to the history of painting in the way that he approaches photography. Pieces like Mimic are meant to be hung on the wall like a painting, and not stored in an album or looked at solely as plates in a book. The sheer size and luminosity of the lightboxes makes sure that one cannot ever get the full effect of Wall’s art from a reproduction. 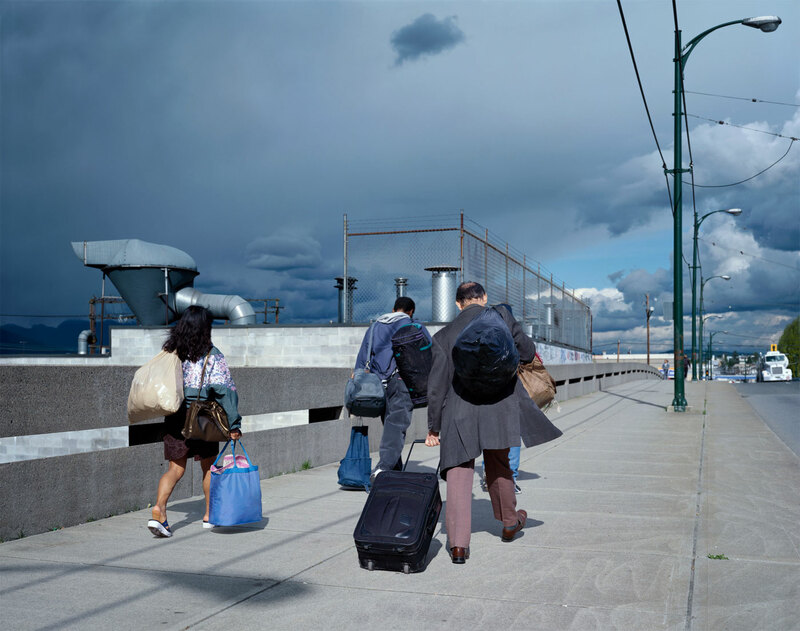 By making large format images, Wall not only engages and subverts the ideas of the traditional street snapshot (images by artists like Garry Winogrand and Robert Frank are typically smaller, having been taken originally on 35mm film), but comments on painting as well. protruding from the wall just enough to have three-dimensional presence. Furthermore, Wall’s use of large lightboxes visually affects the gallery as well as the audience by virtue of their luminosity. The piece does not stop at the frame. It surrounds the viewer on a three-dimensional plane unlike a usual photograph, immersing them further into the image. Delacroix to position his work within an art historical context as well as to draw reference to the way the picture is constructed. He does not, however, try to imitate brushstrokes or the feel of oil paint, but rather uses the lightbox and transparencies to invoke a cinematic reading of pieces that border between being appropriate for the Louvre or a bus stop advert. Most importantly, and unlike his pictorialist predecessors, Wall makes works that should be read as photographs. The muddling of mediums which Kasebier and others working in her style of photography used was an effort to gain the artistic prestige afforded paintings for photography. With the street pictures, however, Wall moves in a different direction. By developing a way of capturing everyday scenes in a way that is both cinematic and ordinary (that is, mimicking the snapshot aesthetic while still engaging specifically cinematic production), the artist brings into question modes of representation in daily life and human perception instead of trying to be paintings. snapshot aesthetic with the constructed image is what makes Wall’s street pictures so engaging as a photograph that was similar to its predecessors, yet entirely new. of “filters” in the final product. 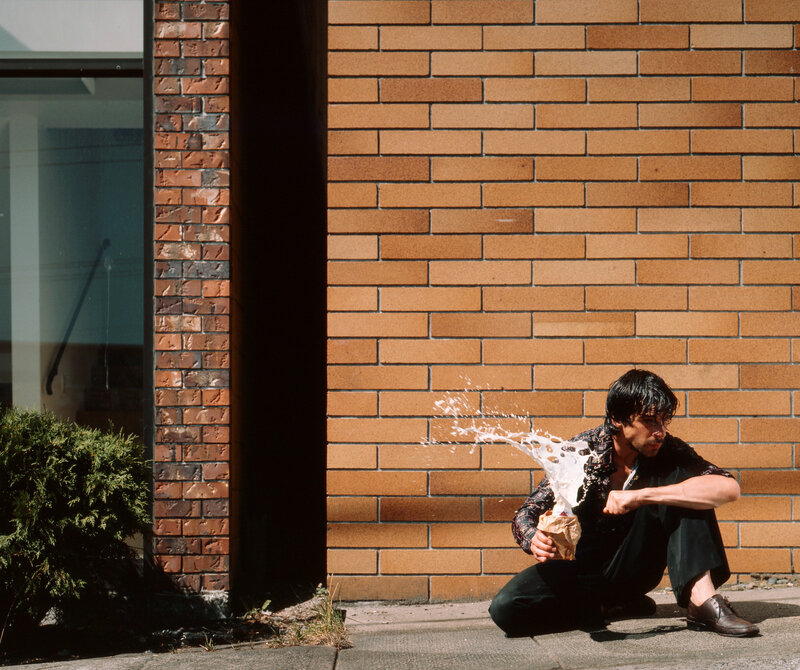 In a 2005 interview with Craig Burnett (author of Jeff Wall, part of the Tate Gallery’s ‘Modern Artists’ series) Wall commented on how he uses the original, observed event as a jumping off point. “I needed a place to [make the picture], and when I’m looking for a location – and I still do this now – I go back to the original place that I’ve seen, and think, ‘Well, maybe I can do the photograph here.’ But usually it doesn’t have the formal character that I want, so I free myself- I free myself from the place. I don’t really know what I’m looking for until I find it.” This conflicts slightly with an earlier comment in the same interview. When asked about the gesture in works like Mimic and why it intrigued him enough to make a picture, especially after his more technical and art-historically referential works from the late 1970s, Wall says that it interested him because “[t]he gesture was so small. I was interested in the mimesis, the physical mimesis. The white man was copying the Asian’s body. Mimesis is one of the original gestures of art. So there was a sense in which emphasizing the mimesis could take away from the simple evildoing, which was interesting but not necessarily the most interesting thing about the picture. For the artist, Mimic is a picture about mimesis, that portrays the action of mimesis from life. It is this combining, layering and juxtaposing of many different copied elements (including place, subject, composition, light, movement and narrative) that make Wall’s pieces so interesting. Mimic may seem relatively simple in terms of compositional elements, but as his career has progressed, Wall continually looks for new ways to bring more and more levels of complexity into the simple scenes he constructs. take away from the simple evildoing, which was interesting but not necessarily the most interesting thing about the picture. For the artist, Mimic is a picture about mimesis, that portrays the action of mimesis from life. It is this combining, layering and juxtaposing of many different copied elements (including place, subject, composition, light, movement and narrative) that make Wall’s pieces so interesting. Mimic may seem relatively simple in terms of compositional elements, but as his career has progressed, Wall continually looks for new ways to bring more and more levels of complexity into the simple scenes he constructs. core of poststructuralist postmodern art practice (that is, he deconstructs the notions of vision as they pertain to everyday life as well as the media that permeates it). Artists like Sherrie Levine, who appropriates and rephotographs prints by Walker Evans and others, work with the same concepts that Wall is interested in: to unfix the way that photographs are often seen as accurate representations of life, of a moment, of a specific object that has been offered up as worthy of photographing. Douglas Crimp, in talking about Levine’s work and its implications, posited that “no photograph could be traced back to or grounded by nature because photographers, conceiving their images and posing their models, would rely on or be influenced by an existing language of representation. That is, by being fully immersed within a society with established modes of visual representation, a photographer’s works are inevitably influenced by these modes no matter how “natural” a photograph claims to be. Photojournalism and straight photography may not seem relevant to Crimp’s argument at first, but they can retroactively fit into the framework of postmodern thought. A snapshot of people on the street is not typically associated with posed or controlled actors. Posing the participants would not constitute true street photography. Rather, the aesthetic construction lies within the artist’s eye and their decision to click the shutter. These elements are dictated by societies’ ideas of representation, of what will make a good photograph. People as far back as Alfred Stieglitz did just this when he stood in the street, camera ready, waiting for the precise moment that, he felt, would make a good picture. 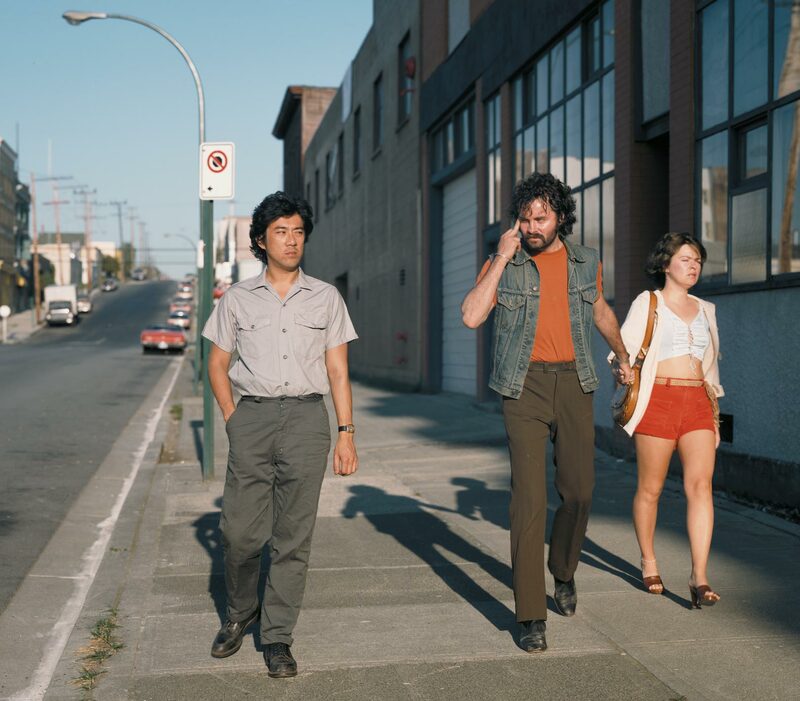 Posted in Essays, Feature, Highlights and tagged Archive Highlights, Essay, Graham W. Bell, Jeff Wall, Photography.